Tiller steered boats are labor intensive to steer due to the constant load on the tiller from propeller torque, and the fact that the operator is positioned (while driving the boat) in such a way that maintaining control requires physical effort not customary in everyday activities. 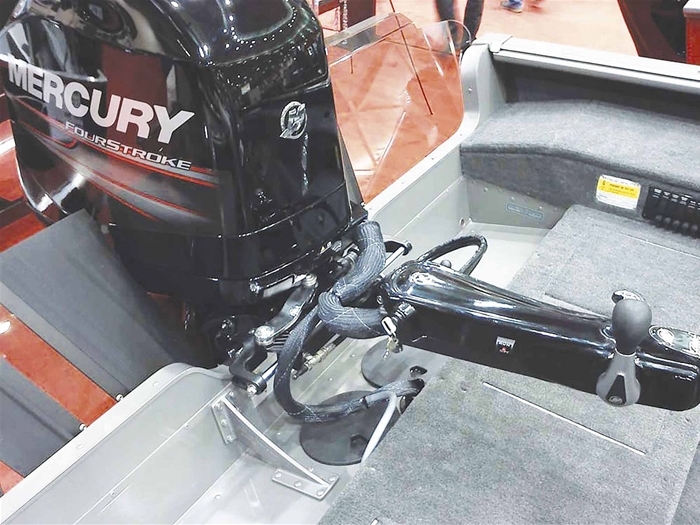 The higher torque of today’s four stroke engines has naturally increased the load on the tiller as compared to two strokes. Though engine horsepower on tiller steered boats may not have changed, the difficulty in controlling these boats has increased. 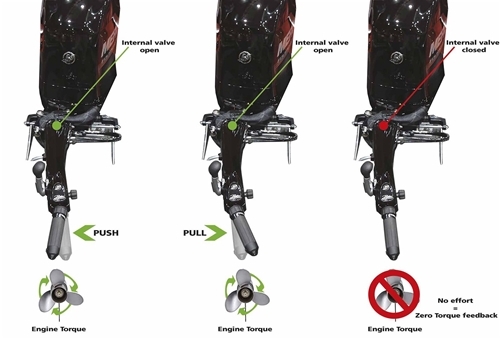 Having a system that locks out the torque while the boat is not actively being steered is a desirable feature that has been implemented on larger engines by engine manufacturers. 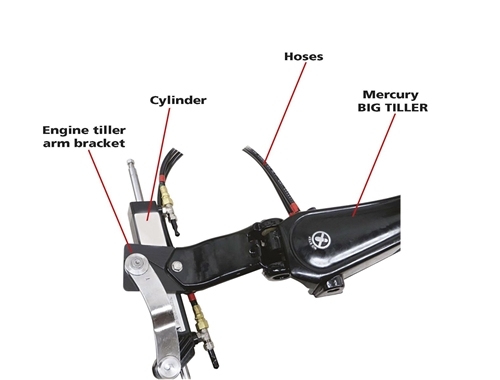 The solution is the ZERO TORQUE Tiller System which consists of a hydraulic cylinder with a control valve that opens and closes following to the operation made on the handle. 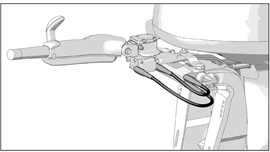 The valve closes when the steering effort by the driver is stopped; as a consequence the cylinder locks the steering position. 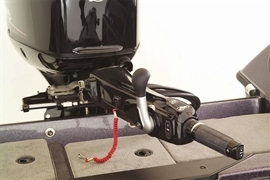 This item is the complete Tiller Assembly which includes Cylinder, Valves, Hoses and Bracket already converted to a Big Tiller Zero Torque Steering. We also offer the a Tiller C Kit which requires your tiller to be sent in for retro fit. See ZTF Tiller C Assembly kit for more information.